John Brown is a larger than life figure in Tragic Prelude, the work by John Steuart Curry at the Kansas State Capitol. Considered among the best of public art, the mural is richly symbolic with Brown, the abolitionist, holding a Bible and rifle, while a tornado and prairie fire represent the gathering storms of war. 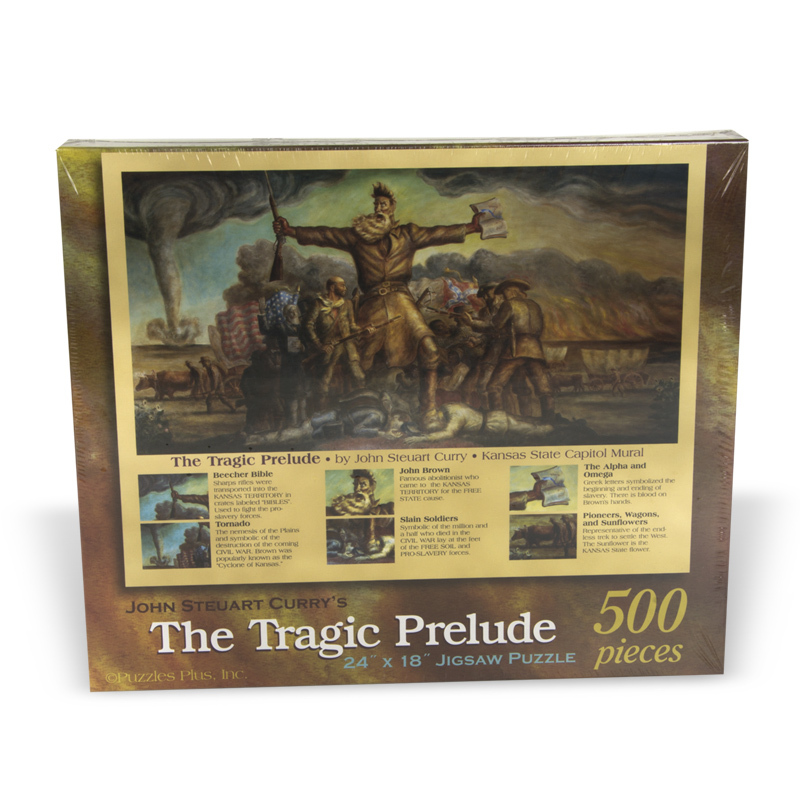 This 500-piece puzzle is the perfect gift for those who love a challenge.